On this date in 1979, the 104-day term of Afghan president Hafizullah Amin met a violent end as a Soviet-engineered coup raised the curtain on a war destined to bring misery to both Cold War combatants. The Soviet Union’s ongoing intervention in Afghan politics had through the 1970’s steadily mired it deeper into an unstable political situation. Now, it was running out of patience with the country’s president, Hafizullah Amin. He’d got the best of rival Nur Mohammad Taraki in a power struggle that September, but to the political chaos and the blossoming Islamic insurgency roiling his country, Amin added a level of brutality that was all his own, and a streak of diplomatic independence that was distinctly unwelcome in Moscow. Amin was a Communist himself, and both he and the predecessor he’d murdered had wanted ever-increasing Soviet aid to keep the country stable. But that proved to be a Faustian bargain. Though Kabul radio would announce that Amin had been tried and summarily executed for “crimes against the state,” the short-lived dictator’s fate had been decided two weeks before when the Soviet Politburo passed a secret resolution for his ouster — having lost whatever confidence it had once held in him as a dependable satellite governor. has seemed deeply troubled by the inability of either the Taraki or Amin governments to put down the rebellions in Afghanistan, which have been largely tribal but also militantly anti-Communist. 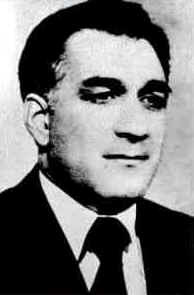 Amin survived a KGB poisoning, so the Red Army dispensed with subtlety by raiding the palace, plucking their preferred satrap out of exile in eastern Europe to take Amin’s place. It would not see the last of Afghanistan until 10 years, 15,000 Soviet dead, and hundreds of thousands of Afghan casualties later. 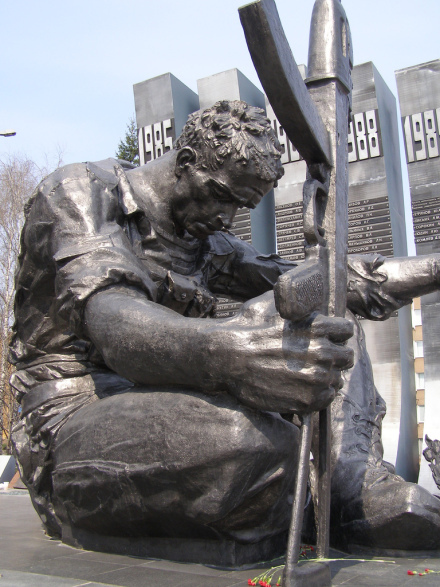 A memorial in Ekaterinburg, Russia, to the Soviet dead in the Afghan war. Image courtesy of beatdrifter (Andy Holmes). May his soil rest in peace , he was a really great person and a great president and bravely died for his homeland and his objectives . I am an afghan citizen and a young educator, on be half of all my countrimen i really regret from my heart that we have lost Hafizullah Amin for ever, we know that a personality such as Amin won’t be repeated in Afghanistan history, so I really regret!!!!!!!! !